The 2017 Mountaineers Kitsap Forest Theater season is underway, with a new rendition of the classic Wizard of Oz! Here is a little more about its star, Dorothy, played by actress Jasmine Harrick. Jasmine’s experience with Kitsap Forest Theater began at age 4, when she came with her parents to performances, who were hoping the outdoor environment would be a good counter to toddler fidgetiness. 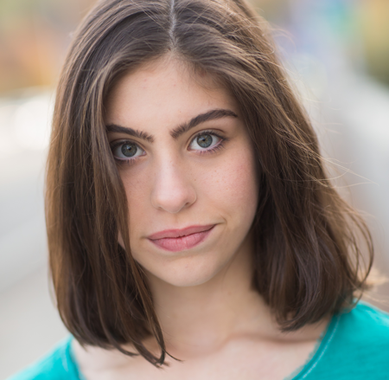 She thrilled at the opportunity to meet the actors onstage and was already a veteran audience member when at age 8 she auditioned with her sister, Eliana, and her parents for Fiddler on the Roof. This began a treasured family tradition of performing together. It didn’t take long for the unique theater to work its magic on all of them. Weekends after rehearsals, Jasmine would head out into the wooded areas beyond the cabin to find secluded glens where she and her new friends from the cast would create fairy houses, explore the trail to Big Tree and Wildcat Creek, or build impromptu carnival rides around the cabin. She went on to portray Lucy in Narnia, Mary Lennox in The Secret Garden, Annie in Annie, and Neleus in Mary Poppins. That sense of specialness of place and community is one thing that drew Jasmine back to the theater this year, after missing last year due to Village Theatre’s Billy Elliott. “I missed it so much,” she says, “I was just hoping to get a chance to be in a show here again,” so she couldn’t be more thrilled to also get the opportunity to play Dorothy. The Kitsap Forest Theater Wizard of Oz will be running every weekend through June 18, 2017. Get your tickets here.